After a winter of bundling up in coats and mittens, students are ready for the beginning of Spring! ABCmouse provides a wide variety of activities to celebrate Spring while learning new skills. Fill your students Spring break travel time with fun and exciting activities on ABCmouse! One of the newest features is the How to Make a Bird Feeder puzzle that illustrates the steps, giving your students practice in sequencing and perhaps sparking an idea for a fun offline project. Students may also enjoy the Colors of Spring jigsaw puzzle that allows them to see real spring flowers and share what colors they see. Celebrate Spring time with ABCmouse.com’s three favorite mice. Students can create their own picture, turn it into a puzzle or print it out and decorate their homes. Help students’ say goodbye to Winter and hello to Spring with a Spring Poetry activity! Poems let students hear rhythm, music, sounds and beats. 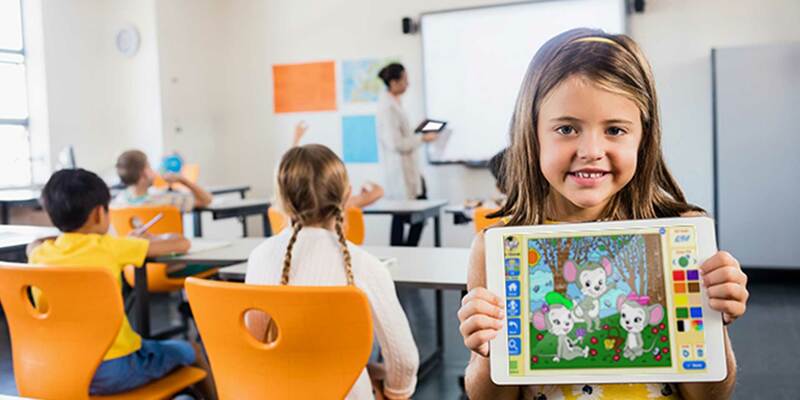 Reminder: as a special offer for Procare Software users, your school can use this powerful tool in your school with all the support you need, AND offer families unlimited access to ABCmouse at home for just $6 per student per month. Introducing the ABCmouse Summer Enrichment Collection. An easy-to-use digital learning resource for children entering preschool through 2nd grade at camp, at home, or on the go! I would encourage anyone running a childcare center to look into getting this program. It will save you hours of paperwork and keep you organized.